Attach a copyright notice to each copy of your work, if it you are about to publish it. A copyright notice contains the copyright symbol (C in a circle), the year of first publication and the name of the copyright holder. A copyright notice is no longer required for copyright protection, but it will help you prove that any infringement was intentional. Register your copyright online with the U.S. Copyright Office, if you have not already done so. You must complete Form eCO and pay a filing fee of $35 per work. The Copyright Office will send you a copyright certificate. If your copyright has already been infringed at the time you register it, however, you will not be entitled to the enhanced legal benefits of registration unless your work has been published and you registered the copyright within three months after first publication. As long as you registered your copyright before the infringement occurred, you will be entitled to enhanced legal benefits: you won't have to prove damages, and you can obtain statutory damages of between $750 and $150,000 per act of infringement.. Send a warning letter to the infringing party identifying your work, stating that it is copyrighted and that you own the copyright, identifying the act of infringement, and ordering him to either stop infringing your copyright or face legal action. Include a copy of your copyright certificate with the letter. File a petition for a copyright infringement injunction with the federal district court that has jurisdiction over your place of residence. An infringement injunction is a court order demanding that the alleged offender stop performing infringing acts. To obtain an injunction, you will be required to submit evidence of the infringement. If you file a lawsuit and lose, the injunction will be lifted. File a copyright infringement lawsuit in the federal district court with jurisdiction over your residence. If your damages are large and you are confident you can prove the amount, seek civil damages in the amount of your actual losses. If not, seek statutory damages. You are likely to receive higher statutory damages if you can prove that the infringement was intentional and committed for the purpose of financial gain. File a criminal complaint with the FBI's Intellectual Property Fraud Unit, if you believe the infringement constitutes a criminal offense. 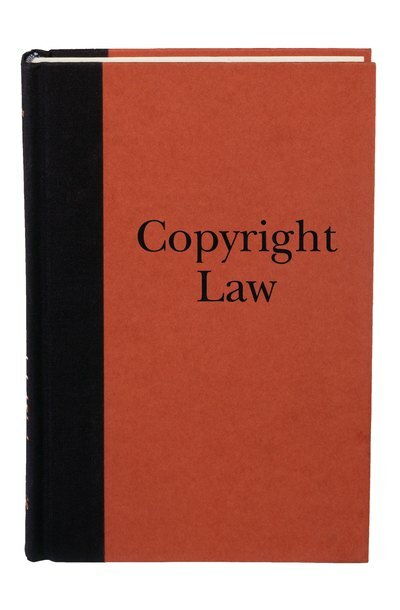 Infringement can be criminally prosecuted if the infringing party continued infringing the copyright after receiving a warning letter from you, and the infringement was committed for financial gain or the infringing party reproduced or distributed more than $1,000 worth of copyrighted material. The maximum penalty is five years in prison and a $500,000 fine.